You can call it a bailout, a rakeover - I mean, takeover - or socialism for cash. But, whatever you call it, it's not going to last. The $187.5 billion bailout of Fannie Mae and Freddie Mac back in 2008 was absolutely necessary. Yes, we had to do it. A hedge fund hoping to capitalize on the comeback of Fannie Mae and Freddie Mac claims in a lawsuit the government illegally seized the profits of the two mortgage finance giants. 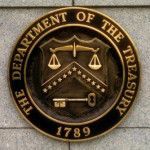 The suit, filed Sunday by Perry Capital LLC, says the government violated a 2008 law that put Fannie and Freddie into conservatorship, through an amendment changing the terms of the government's bailout. Under original terms, Fannie and Freddie paid fixed quarterly dividends equal to 10% of the government's stake. But in 2012, the U.S. Treasury Department amended the terms of the bailout and began taking all Fannie and Freddie's quarterly profits. Theodore Olson, an attorney representing Perry Capital, said in a news release the 2008 law "established very specific rules about the government's limits and obligations under conservatorship. Investors had every right to expect these rules to be followed. "If the government wanted to assume the powers of receivership, it could have chosen that course," Olson said. "Instead, it chose conservatorship, and with the [amendment] it overreached, exceeding the legal boundaries of the statute and failing to meet obligations of conservatorship mandated by Congress" under the 2008 law. Mortgage-industry industry leaders will attend a summit with government officials today (Tuesday) to discuss how to reform Fannie Mae (NYSE: FNMA) and Freddie Mac (OTC: FMCC), the two mortgage giants that so far have devoured close to $150 billion in taxpayer bailout funds. However, that meeting is likely to be derailed by a far greater problem: After making modest progress, the housing market again appears on the verge of collapse. "There's been a feeling in government, which seems to be more pervasive than it was six months ago, that says, 'We've solved this housing problem; let's move on to Fannie and Freddie,'" Laurie Goodman, a senior managing director at mortgage-bond trader Amherst Securities Group LP in New York told The Wall Street Journal. "But you haven't solved this housing problem. We have another round of home prices going down a little more." Data last week showed a job market that's careening down a steep street with no breaks. Yet investors were able to shrug off employment concerns, as the stock market actually ended the week up 1.5% due to that rockin' Monday on the first day of the month. That's because there is growing speculation that the Democrats are plotting a surprise stimulus in the run up to November's mid-term elections. A report issued by the Federal Reserve Bank of New York shows that so-called "shadow banks" still hold more obligations than regular banks, representing a continuing threat to the financial system. Three years after the beginning of the financial crisis, the shadow banking system had about $16 trillion of obligations in the first quarter, compared with $13 trillion for banks, the report said. The gap has narrowed from 2008, when obligations were $20 trillion and $11 trillion, respectively. Throughout the early part of the decade, shadow banks grew in importance as they acted as intermediaries between investors and borrowers. Familiar examples of shadow institutions include Bear Stearns and Lehman Brothers, which were swallowed by the financial crisis, as well as Fannie Mae (NYSE: FNM) and Freddie Mac (NYSE: FRE). While this system became a huge and vital source of money to fuel the housing market and the rest of the U.S. economy, the subprime mortgage crisis and ensuing credit crunch exposed a major flaw. The battle between China and Japan for the title of largest holder of this dubious asset is not very interesting. What's more interesting is the question of where China is instead opting to invest. After all, $34.2 billion is a fair chunk of change, and China's overall reserves are growing - not shrinking - and now total $2.4 trillion. The People's Bank of China usually keeps its holdings a carefully guarded secret, much more so than for most central banks - our knowledge of its holdings of Treasuries comes from U.S. data, not from China. We do, however, have some evidence about the Chinese government's investment thinking, thanks to the holdings of China Investment Corp., the country's $200 billion sovereign wealth fund. On those grounds, I opposed the "stimulus" - a position that was a lot less popular then than it has since become. However, as I'll show you below, it now looks as if I was right - and the implications for the U.S. economy are highly worrisome. Government cannot create wealth - it has to borrow it. If, before the stimulus, government finances were in good shape, as was the case in China, then stimulus does indeed stimulate: The modest budget deficit that it causes is easily financed, and the extra spending creates some jobs and maybe some useful infrastructure, depending on how well targeted it is. Here in the United States, investors have been startled by the realization that Washington no longer appears to be acting as a benefactor to Wall Street, the financial markets, and the economy. Ever since the collapse of Lehman Bros. Holdings Inc. (OTC: LEHMQ) back in 2008, a Faustian deal was forged between Wall Street executives and the politicos in Washington: Ideologies would be thrown by the wayside to prevent a meltdown of the American financial system and the precipitous collapse of the economy. First, the Bush administration swallowed its free-market credentials to take over Fannie Mae (NYSE: FNM) and Freddie Mac (NYSE: FRE), while handing the largest banks and the Detroit automakers big piles of taxpayer cash to keep them afloat. Then, the Obama administration resisted populist pressure to punish the bankers getting rich thanks to rising financial markets while unemployment continued to climb. But that's changing now, and the attack dogs have been unleashed. Policy is moving from supportive (crisis management) to restrictive (crisis prevention and the scoring of political points) at a faster pace and to a much-more-severe degree than many imagined. It started with extra taxes on bank liabilities to fund a reserve for financial crises, then moved to include a congressional commission to review the causes of the financial crisis, and then to more onerous regulatory oversight. But now it's growing into something more. And that's one big reason stocks in general and the financial sector in particular sold off so severely. Next Wednesday, Jan. 13, won't be just another hump day. It's a key date for regulators in both the United States and Europe who are preparing to launch the largest overhaul of global financial regulation since The Great Depression. The U.S. Congress' Financial Crisis Inquiry Commission (FCIC) - the ten-member commission appointed with goal of investigating the causes of the financial crisis - will begin its first public hearing. And the European Parliament will hold a confirmation hearing for Michel Barnier - the French politician who has been appointed to oversee the regulation of the European Union's (EU) financial services sector. Both of these events will have significant implications on the global financial reform that is set to go into effect this year. Existing home sales surprised the markets by rising 7.4% to an annual rate of 6.54 million units in November, the highest since February 2007, according to the National Association of Realtors (NAR). That's only 10% below the all-time peak in 2005. What's more is that house prices, as measured by the S&P/Case-Shiller 20-city Home Price Index, rose for the fourth consecutive month in September before stabilizing in October when prices were flat. The NAR is inevitably convinced that the worst is over and that housing is due for a rapid recovery, and that home prices will take out 2006's peaks some time in 2011 or 2012.